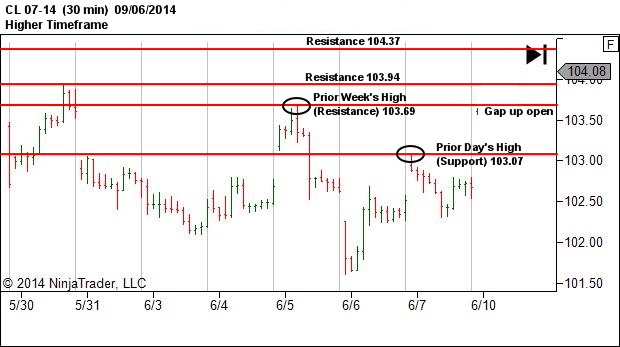 As we see above, price has gapped open today, well above the prior day’s high and just below the prior week’s resistance level at 103.69. 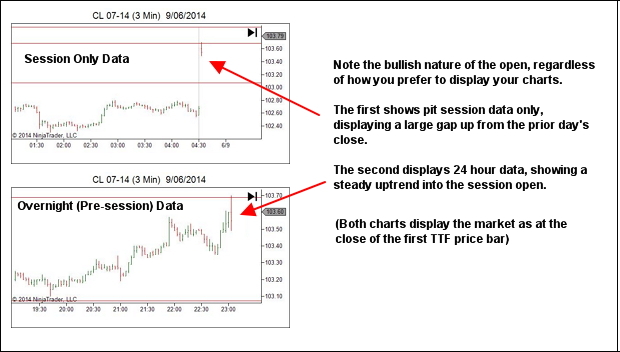 Looking at the Trading Timeframe now, we see a bullish picture into the market open. 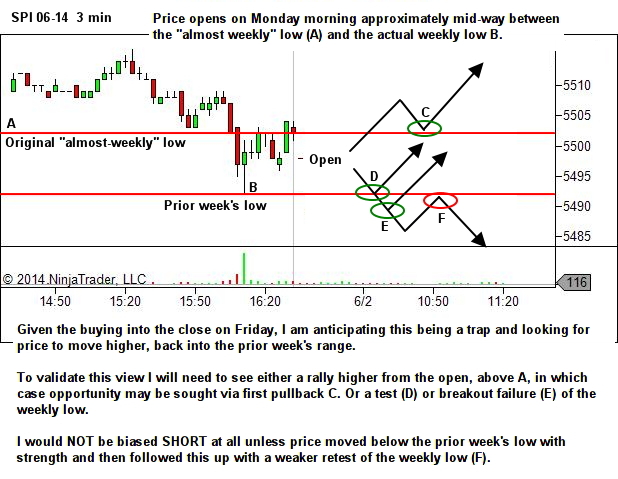 My expectations are for this bullish sentiment to continue, to push price higher in an attempt to break the prior week’s high resistance. 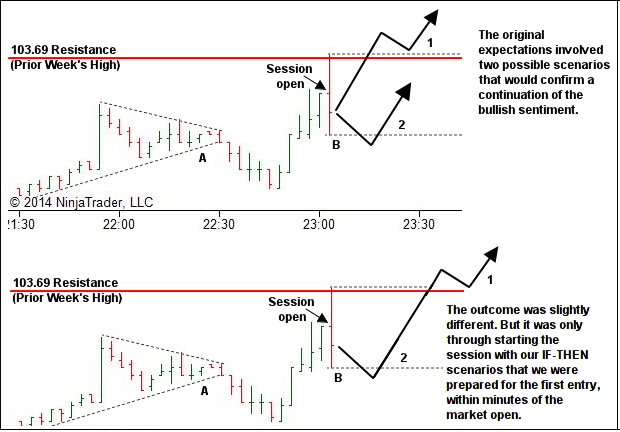 If this bullish sentiment is to continue, then I’ll be looking for price to act in accordance with either one of these two scenarios. But what if my expectations are wrong? 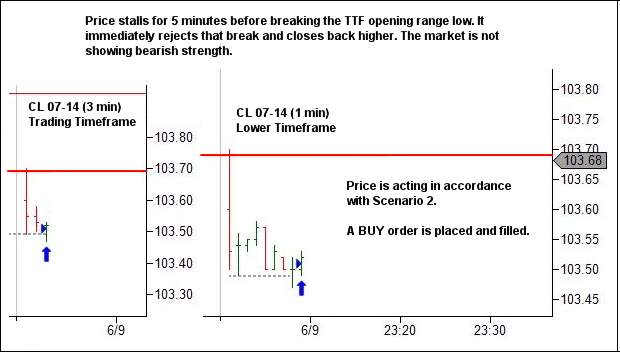 After all, the opening TTF bar did bounce off resistance. 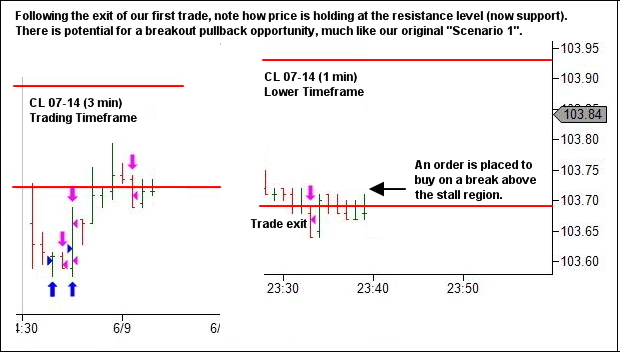 If price does not “fit” into one of these two scenarios, then this will become evident within the first few price bars. I’ll simply stand aside and reassess. I’m not rigidly holding myself to either of the above IF-THEN scenarios, if subsequent data does not act in accordance with expectations. In particular, any signs of bearish strength will have me considering the likelihood of resistance holding, and I may then seek opportunity SHORT on a subsequent weaker retest of the resistance level or in the first pullback after a confirmed change of trend. 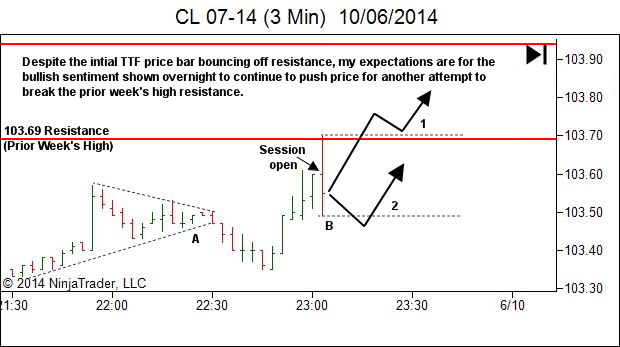 However, until there are any signs of bearish strength though, my bias remains long. Let’s move forward in the data to see how the session open unfolds. 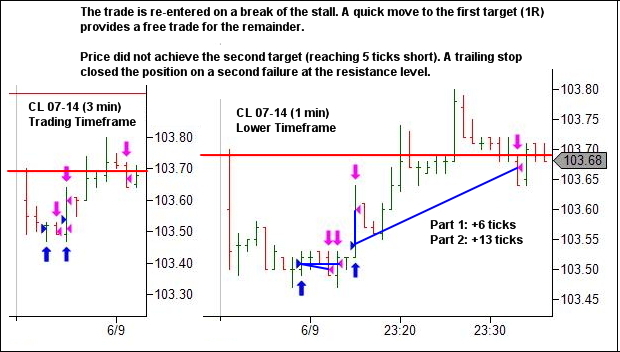 Why we cant short, when the opening gap opened right into resistance? 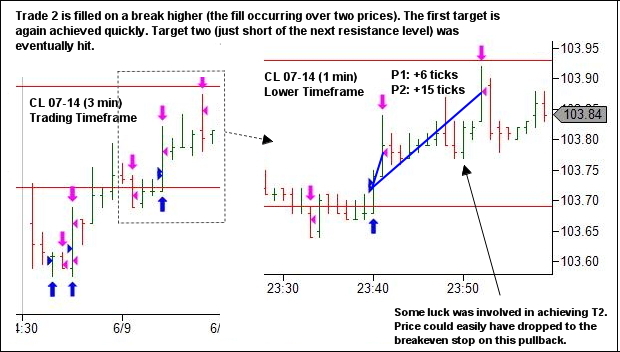 Mitch, there was no entry trigger at the gap open into resistance. And it spent very little time there. 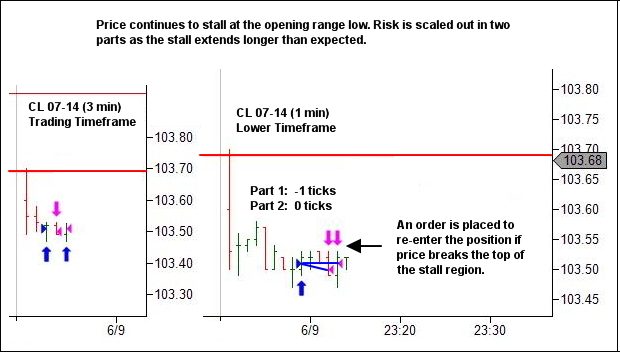 Some people do operate by placing limit orders at levels such as this. It’s not how I trade though. Lance Beggs is the man. Thanks!